Mordian 7th Regiment: Heresy Era Word Bearers - Contemptors and Chaplains and Venators, oh my! 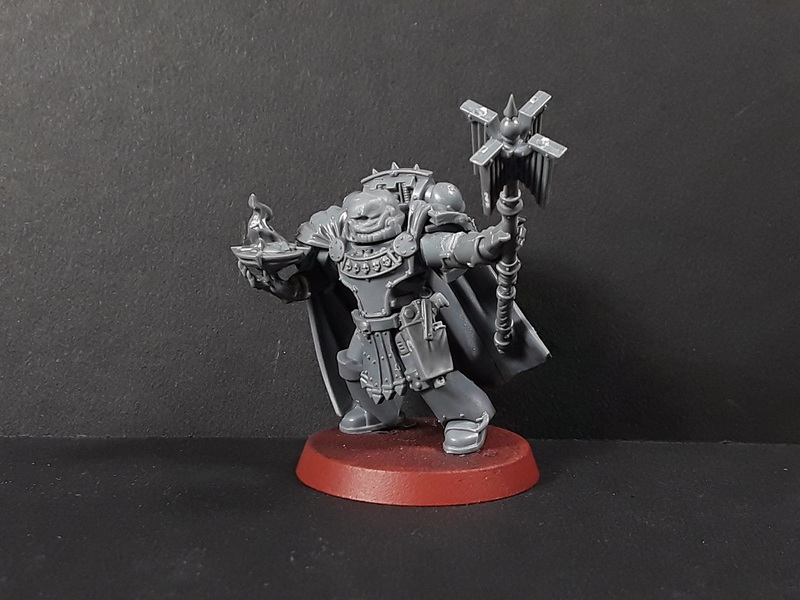 Heresy Era Word Bearers - Contemptors and Chaplains and Venators, oh my! 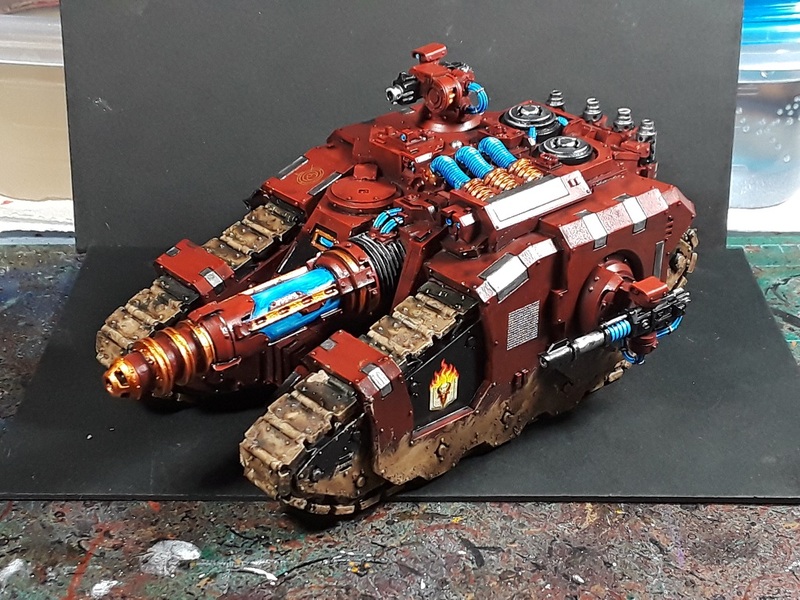 With the recent release of the Adepticon events registration, I was finally able to zero in on what I would need to get completed for the Word Bearers. 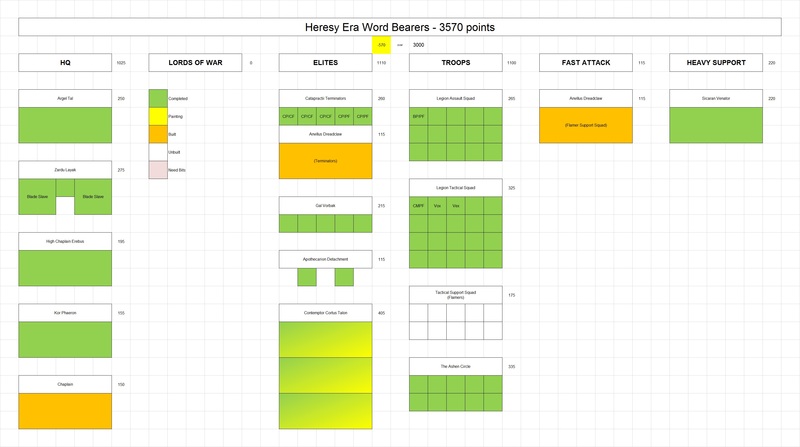 I've got a Zone Mortalis game at 500 points and a big 3k game vs. Xenos, which should be interesting! In both cases I've decided I was going to continue the "Assault on Armatura" theme for my force and run a very infantry-heavy army. 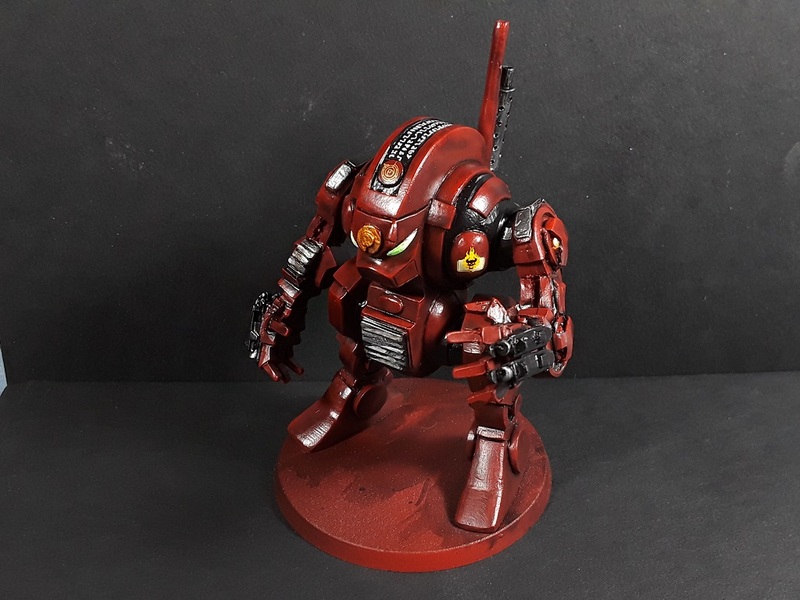 That said, there needs to be some anti-armor punch and you can't go wrong with a talon of Contemptors to do the punching. 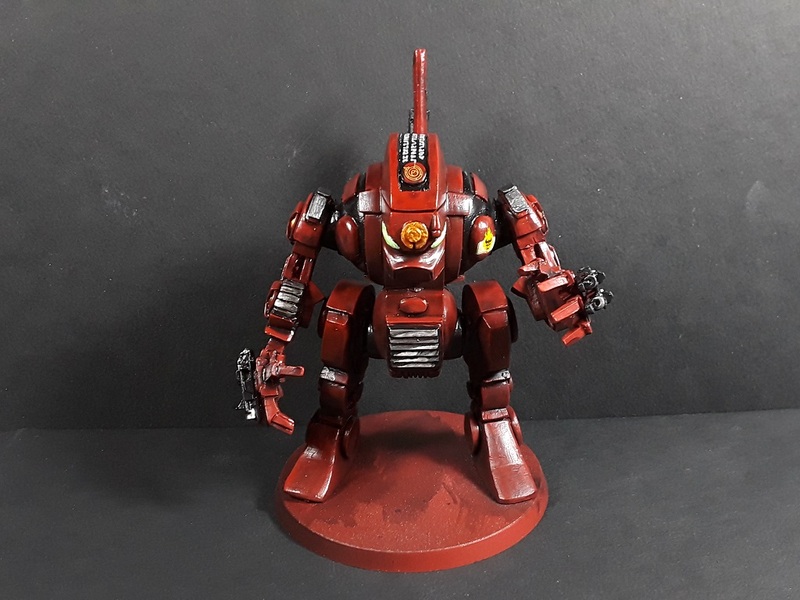 While poking around on the Oldhammer site, I ran across some embiggened RT-era Dreadnoughts, which tripped my nostalgia trigger hard and I absolutely had to get a few. I'll be running them as a Contemptor Cortus talon armed with twin dreadnought close combat weapons each with a twin-linked bolter. Cheap and cheerful Str 10 mayhem! While I was about it, I also got the Sicaran Venator more or less complete as well! 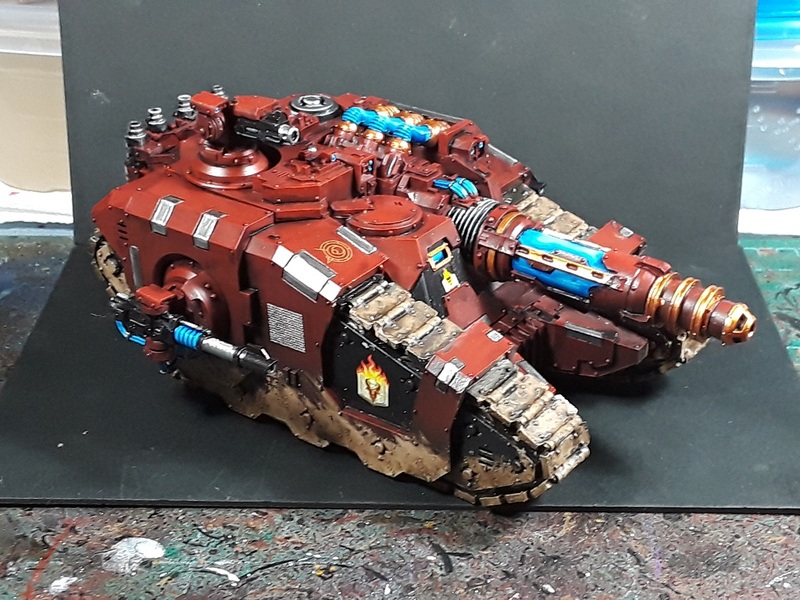 I always loved this model, it's just such a mean-looking tank! It's rather fearsome on the tabletop as well, though in my experience the lascannons are superfluous as the main gun is an Ordnance weapon which generally precludes the ability to fire the sponsons. As the tank will take a lot of fire, having the extra weapons to soak up the inevitable 'weapon destroyed' results isn't a bad thing though! 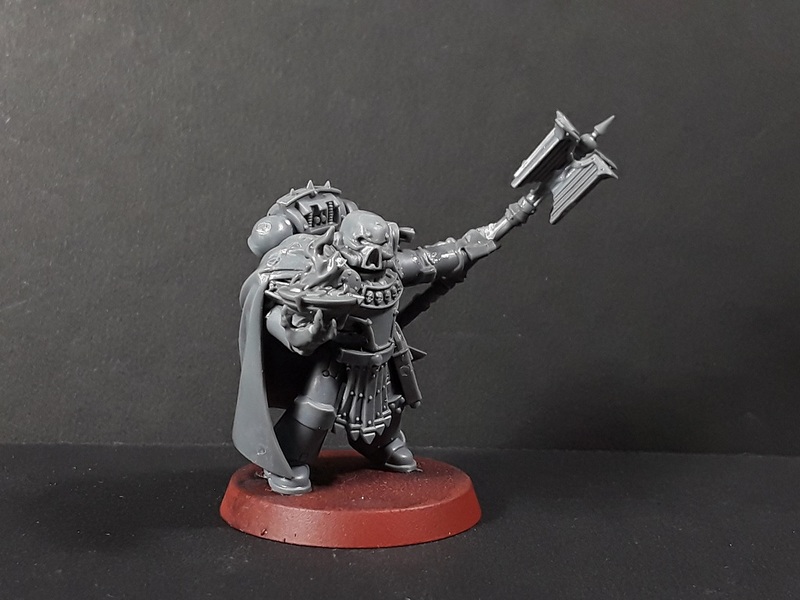 While going over the lists, I realized I needed a 'vanilla' chaplain to fulfill the Word Bearers FOC requirements (in addition to the warlord, the force must include either a chaplain or champion), but rather than just use the Betrayal at Calth model as-is I figured I'd chop him up and make something a bit more unique! Kept the torso, cape and backpack, but gave him some alternate legs which changed the stance dramatically. Swapped the crozius over to the left hand, and pillaged the Thousand Sons sorcerer bits to come up with a warp flask and creepy hand. 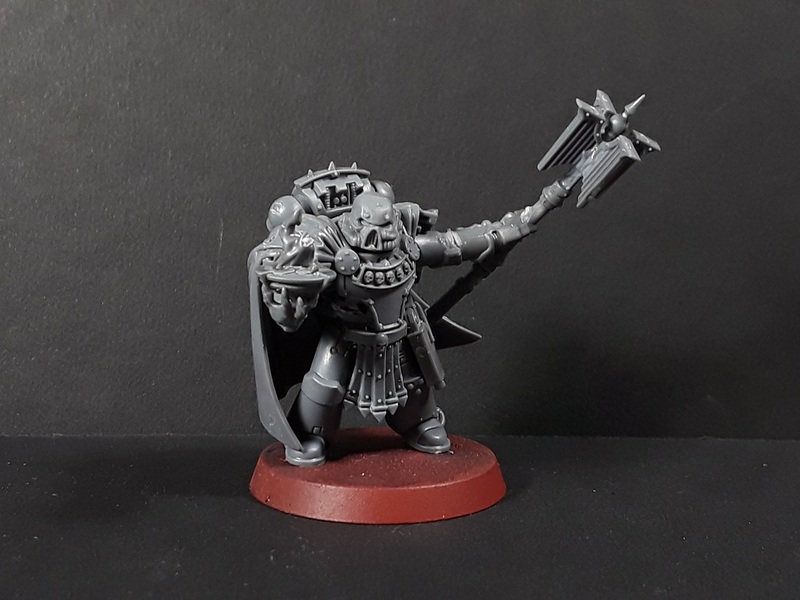 Your basic skull helmet is essential for any self-respecting chaplain, and he's ready to get painted up! Speaking of, it's been a while since I updated the painting chart and am quite pleased to see how close to the finish line the force is. Well on track to get everything completed for Adepticon, and with it being almost entirely infantry it should hopefully be easy to transport! Those updated RT Dreads look sweet! 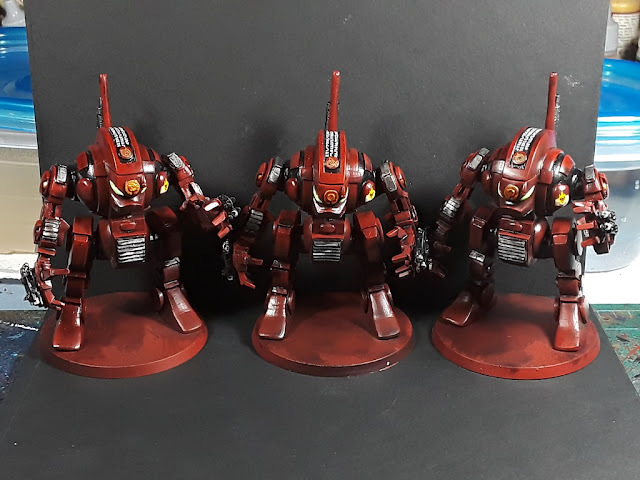 They also look like they'd fit in pretty well with the FW Mechanicum Robots. It's cool to see how that aesthetic has stuck around to some degree. That Chaplain is sinister as hell. Nice creepiness there. Cheers! He was quite fun to build! Now I’ve never seen those dreads before. Looking very cool, and once they are on their bases they will really shine! Thanks! Aye, getting them on the matching white marble bases should really help 'em pop! Did you convert these? If not where can I buy them? They were made by a guy on the oldhammer forums by the name of jpminis. Cheers! Ah yes, those dreads are a swift kick in the nostalgia, very nice! Indeed! As soon. As I saw 'em I had to have a talon! What's the website for those Contemptors? They're fantastic RT-esque models! No actual storefront I'm afraid, was all done via contacts from the Oldhammer forums and Instagram by @jpminis. 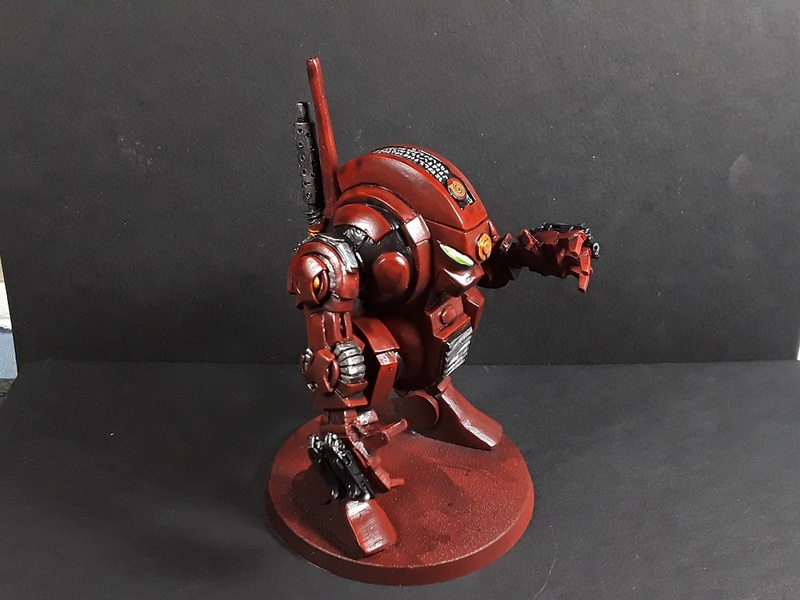 Very much garage casts from a guy in England in his spare time. They're quite silly, but for an old RT hand they were worth the wait. Cheers! Lovely work there, coming together nicely.